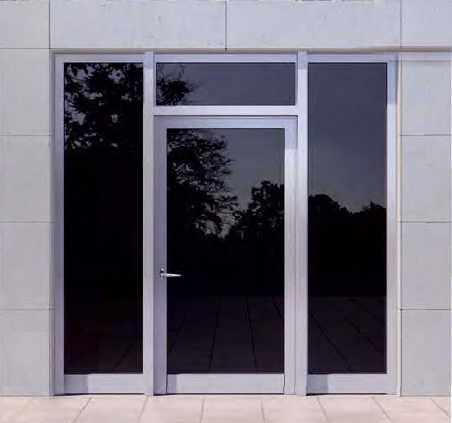 Sliding system with thermal break on aluminium, specially designed for very big openings, that offers impressive specifications. The frame and the sashes of the system are implemented into the floor, the ceiling and the walls. High thermal conductivity coefficient Uf = 1,0 W/m2K. Special locking hardware located on the meeting profile of the sashes and on the "hidden" frame. 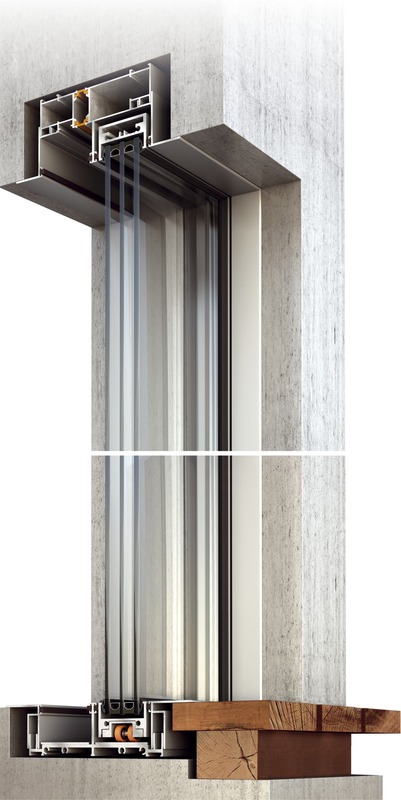 Glazing pane consisting of three glass sheets with thermal conductivity coefficient Ug up to 0,5 W/m2K. 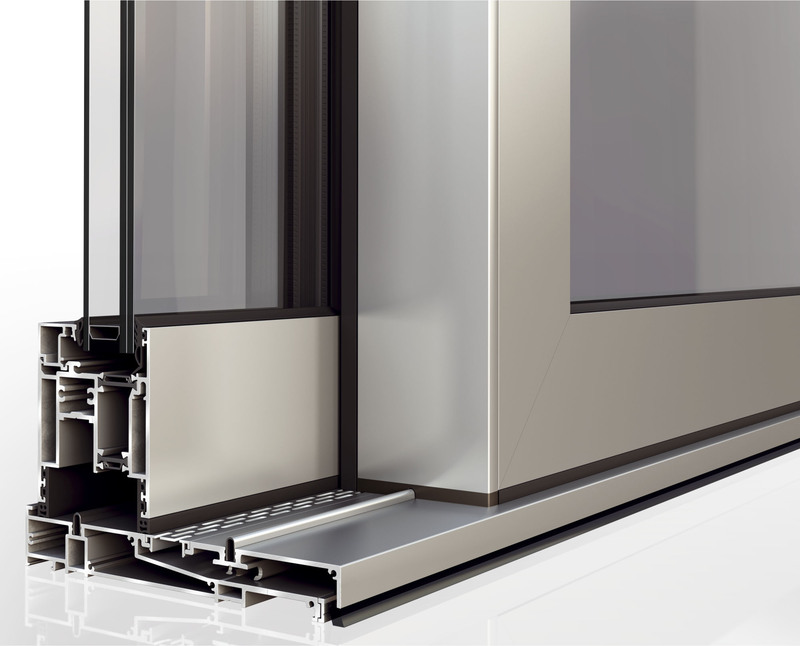 Lift-and-slide system with thermal break on aluminium specially designed for huge openings with impressive technical details. Cross – section (sash) height 84 mm. 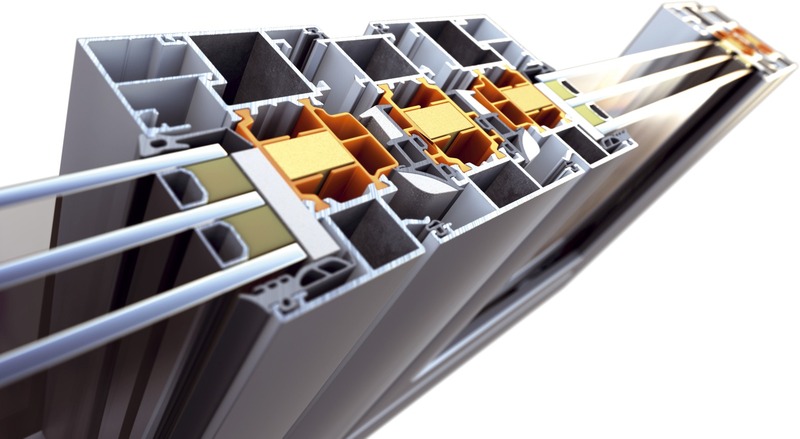 Reinforced aluminium profiles allow constructions of up to 3 meters in height to be manufactured. High thermal conductivity coefficient Uf 2,8 W/m2K. Glass reinfrorced polyamides 24 mm thick are used, not allowing the "banana" effect to appear. 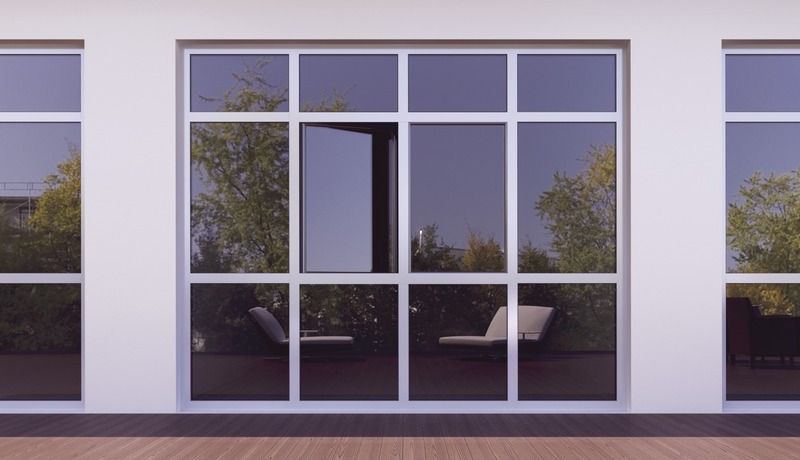 Glazing pane consisting of three glass sheets with thermal conductivity Ug up to 0,5 W/m2K can be used. Threshold that can be implemented to the floor. Maximum weight of each sash 400 kg. 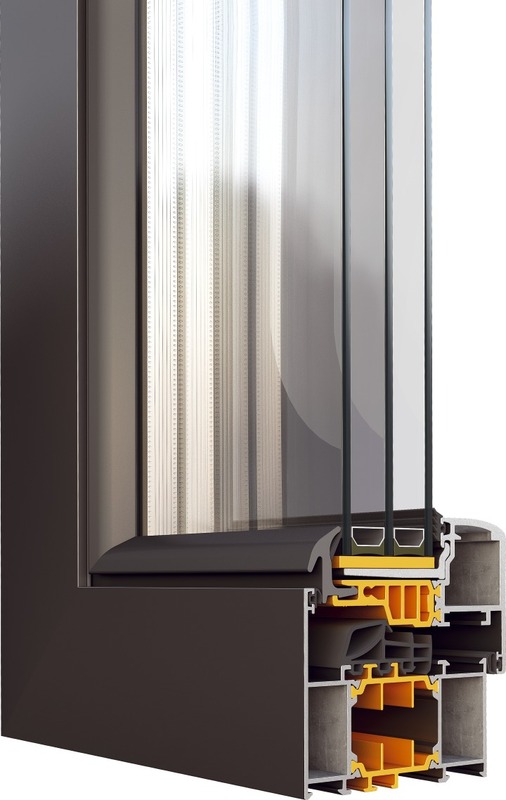 Opening (turn-and-tilt) system with thermal break on aluminium designed to achieve elegancy while the less possible aluminium profiles are visible. Cross – section (sash) width 82,5 mm. High thermal conductivity coefficient Uf 1,73 W/m2K. Glass reinforced polyamides 38 mm thick are used. Glazing (glass panes with three glass sheets ) thick up to 46 mm with thermal conductivity coefficient Ug up to 0,5 W/m2K can be installed. Rebates, transom and mullions profiles have all the same width: 67 mm. Firm and sturdy constructions due to the 80 mm thick frame. Opening (turn-and-tilt) system highly efficient regarding the energy losses. Thermal break from glass reinforced polyamides 38 mm thick are used. If polyurethane bars are used, too, the system can achieve thermal conductivity coefficient Uf = 0,98 W/m2K. Glass panes with three glass sheets and thermal conductivity coefficient Ug up to 0,5 W/m2K can be installed. Typologies with hidden sash can also be manufactured. Copyright © Prime Zahariou. All Rights Reserved.